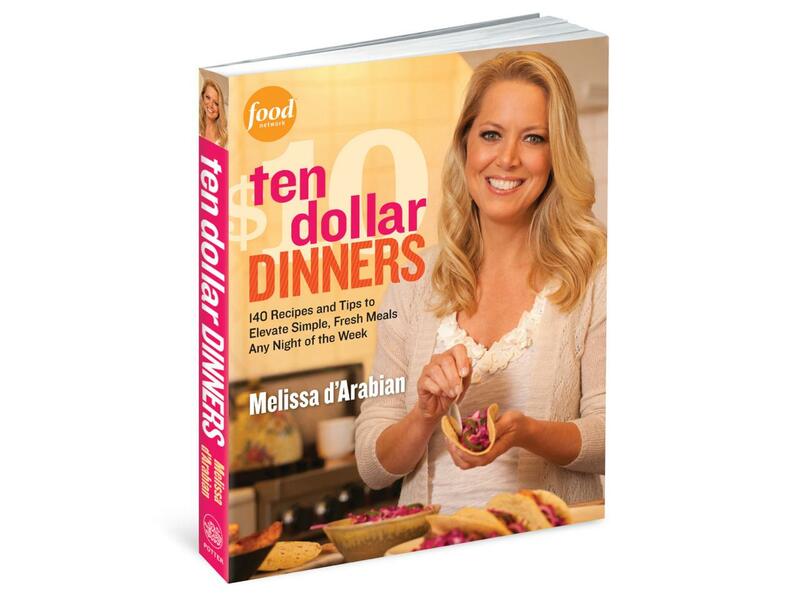 Melissa d'Arabian wraps up her family-friendly recipes into one must-read cookbook, Ten Dollar Dinners. 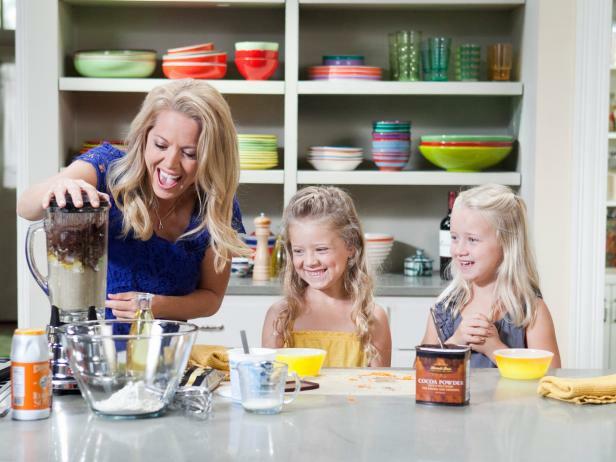 Mom of four and winner of Food Network Star Season 5, Melissa d'Arabian is known for transforming everyday meals into budget-friendly dishes the whole family will enjoy on her show, Ten Dollar Dinners with Melissa d'Arabian. 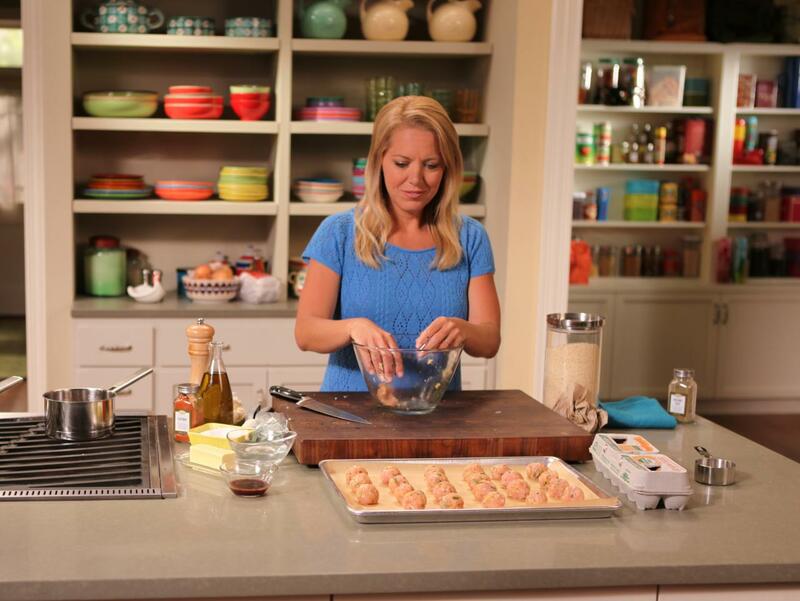 Instead of serving one big-batch main dish, Melissa makes several smaller appetizers to add variety to her meal. Here she rolls two-bite turkey meatballs that will be baked and dotted with a spicy raspberry topping. Melissa mixes up a light but satisfying Greek-inspired salad, studded with crumbly feta cheese and finished with healthful salmon and a simple vinaigrette. No longer a restaurant-only treat, empanadas are easy enough to make at home, especially when filled with sweet applesauce. Transform everyday dinners into flavor-packed meals by preparing a simple sauce or glaze to pair with them. Melissa blends a lime juice-laced tomatillo sauce to be served with her succulent roast chicken. Melissa gets the most out of fine ingredients by putting them to work in multiple dishes. 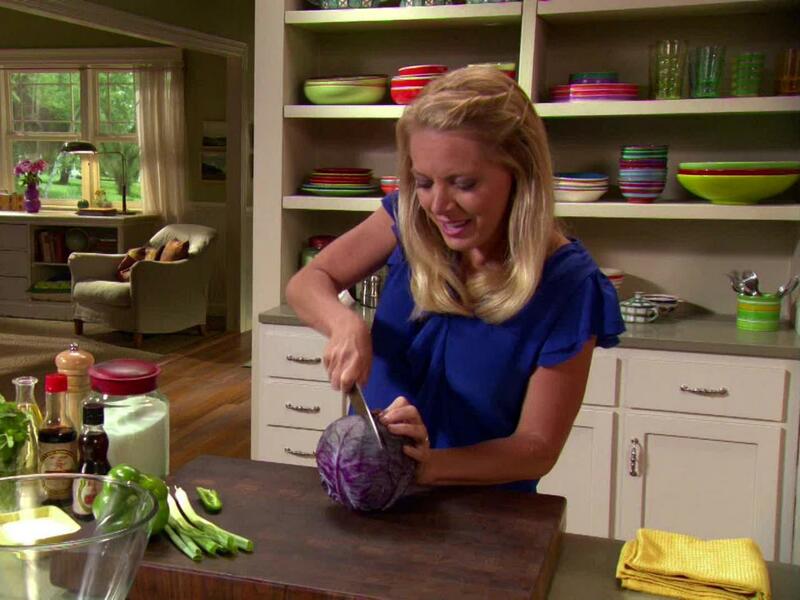 The sesame oil that she uses in her roast chicken is featured in the dressing for her Asian-style cabbage slaw. Two of Melissa's daughters, Valentine and Charlotte, help their mom prepare a deliciously sweet breakfast of chocolate chip pancakes. After tasting a green smoothie made with almond milk, both girls give signs of approval of the creamy treat. Baking eggs in pre-portioned ramekins allows each daughter to enjoy her own extra-special dish. 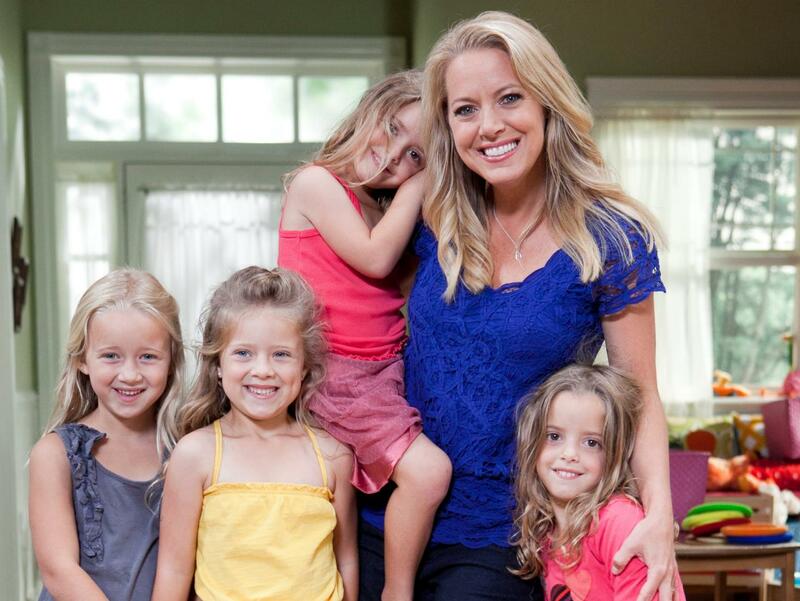 Melissa's youngest daughters, twins Margaux and Océane, join their mom and sisters in the kitchen for a girls-only afternoon. Complete with a rustic dining table, colorful dinnerware and homey accents like an adjacent living room, the Ten Dollar Dinners set is relaxed and comfortable. 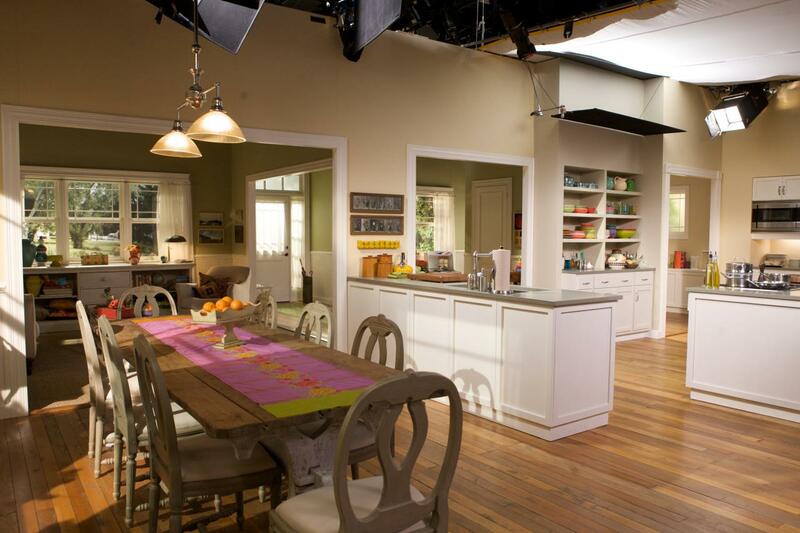 Multiple workstations and oversized kitchen islands give Melissa the freedom to move around during the various segments of her show. 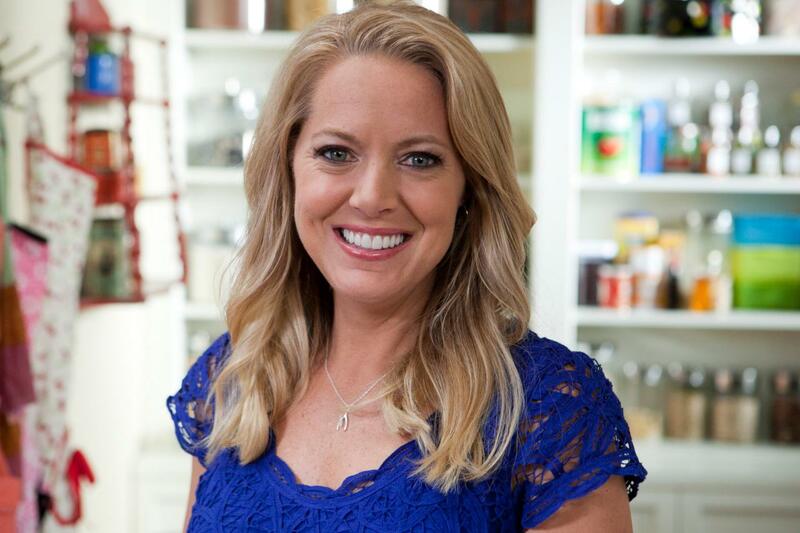 Visit the Food Network Store to order your copy of Melissa's premiere cookbook. 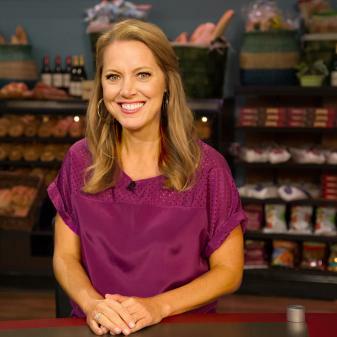 On her daytime cooking series, Melissa d'Arabian, Season 5 winner of Food Network Star and mom of four, shows viewers how to incorporate creative and tasty meals into their budgets by sharing her tried-and-true recipes. 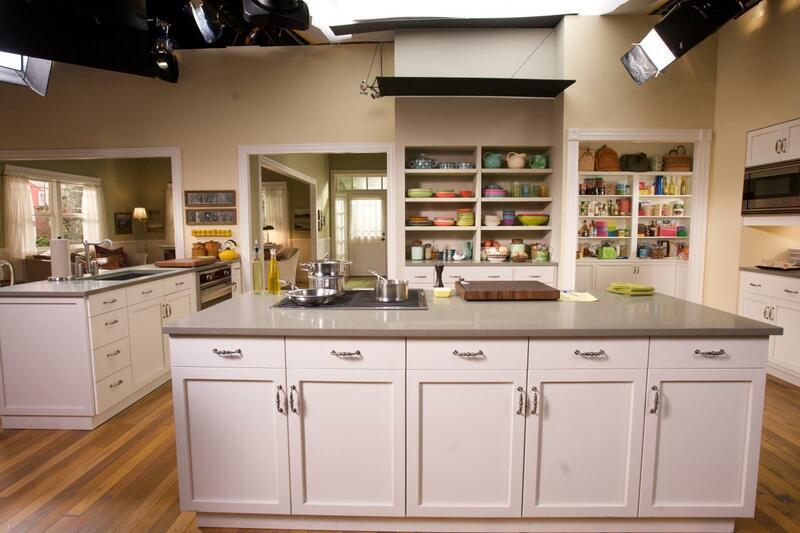 With countless tips to save time and money in the kitchen, she keeps her $10 promise in every episode: four people, 10 bucks, infinite possibilities. From approachable Parisian and Moroccan menus to sophisticated upgrades for everyday chicken and pork, Ten Dollar Dinners demonstrates home cooking at its finest.